8.4 (33013)Games, Role Playingby Panoramik Ltd. Mighty Party: Heroes Clash is a turn-based tactical card battle RPG! Brave Hero, fight in fast 3-minute dynamic PvP battles! 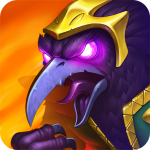 Summon dozens of epic war heroes to defeat all the opponents in the battle arena! Prove your guild alliance is the strongest one in the fantasy World of Pangea! Play the troops of Imperial Archers, defend them with Wind Ninja, strengthen them with Magic of Divinity and destroy opponents forces! Get ready to clash your Mighty Party on! ● Turn-based & fast-paced innovative battle system. Real strategy and tactics! ● Infinite battle combinations from dozens of war heroes. ● Epic Warlords with unique battle skills. ● Captivating PVP (Ranked Battles, Brawl, Arena matches, Tournaments, Survival, Raids, Events etc.) with great rewards! ● Single player campaign with an epic story of through the realm. A true hero’s Journey! ● Turf Wars is a game mode where your guild alliance fights using their troops against opponents for the most valuable territories. Prepare the Guild for glory! 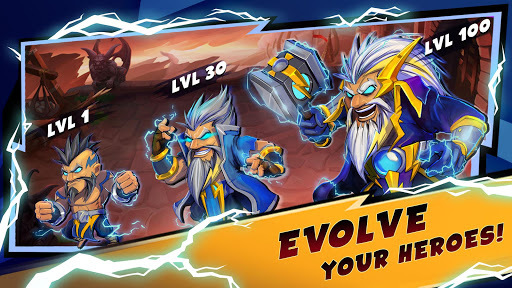 ● Lots of ways to evolve mighty heroes: level-up them, bind them with others, turn them into Legendary ones, upgrade skills in Turf Wars! Receive Magical and Legendary Chests -> Recruit and Evolve new battle Heroes -> Gather your Mighty Party -> Clash with other players in PVP -> Join the strongest Guild Alliance -> Be no. 1! Assemble your forces and lead your Mighty Party to Victory! 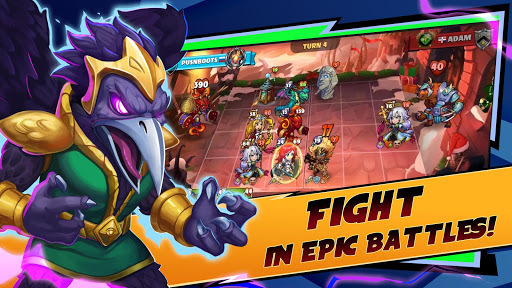 Mighty Party: Heroes Clash is free to download and play, however, some game items can also be purchased for real money. If you do not want to use this feature, please set up password protection for purchases in the settings of your Google Play Store app. Are you having problems? Please contact us via e-mail mightyparty.panoramik@gmail.com or in-game by going to Settings > Support. – Game processes were optimized.